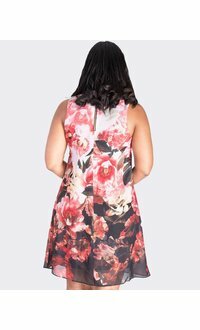 Add an extra punch to your day wear with this faux leather trim floral print dress. 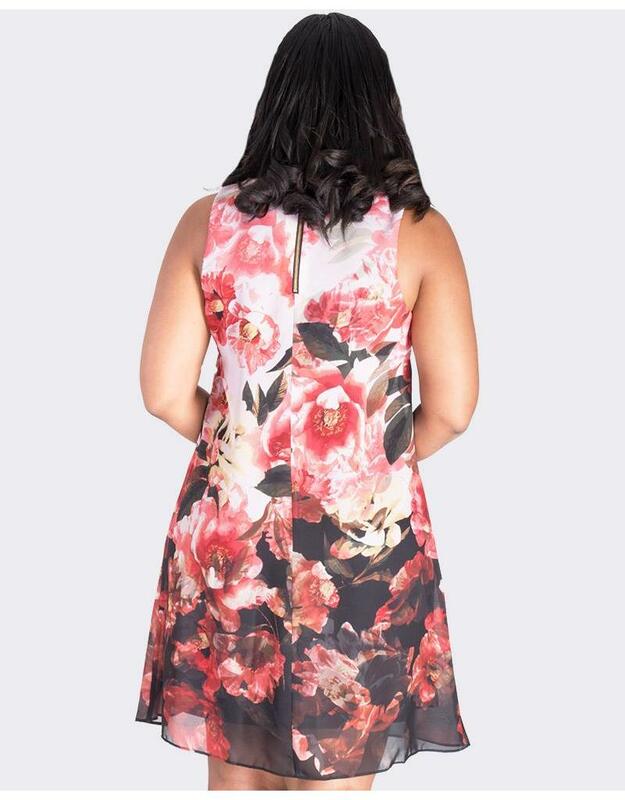 With a chic abstract floral print, this dress adds a real edge with its faux leather trim neckline. The dress features a sleeveless design, shift silhouette that fits easily about the body and a hemline that ends just at the knee. Great for garden wedding or a night out on the town, you can pair this dress with stylish accessories from our collection to complete your look.